Bread, however, is a different story. I adore bread, and would love to be one of those people who has fresh bread at the ready. The smell of it wafting through the house smells of home and warmth and of someone who cares enough to knead and mold and create something with their hands, for you. And most of the time, that’s true. The kneading, the rising, the forming, the rising again; most of the time bread requires lots of hands-on time, literally. But there is a way to get the warmth, the home, the love, without the sore hands. 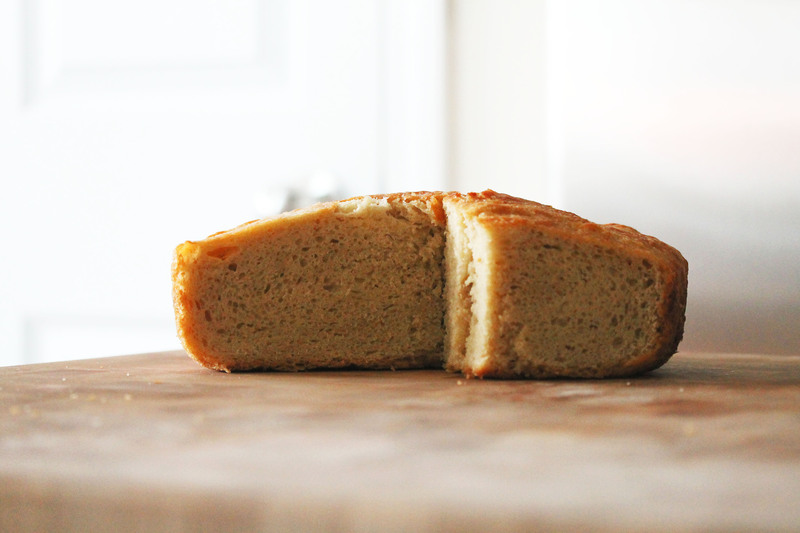 It’s called no-knead bread, and it’s quite possibly the easiest thing I’ve produced in my kitchen. Combining essential bread ingredients, water and yeast, flour and salt, with a wooden spoon, and setting all that aside while time does all of the work for you, will give you all of the aroma and taste of fresh baked bread. You, and I, can be that fresh-bread person. You do need time, 12 or more hours of it, specifically, but weekends are great for that. I think we could make it part of the weekend routine: we could make the dough Saturday, bake it Sunday, enjoy it Monday and on. What do you think? Deal? 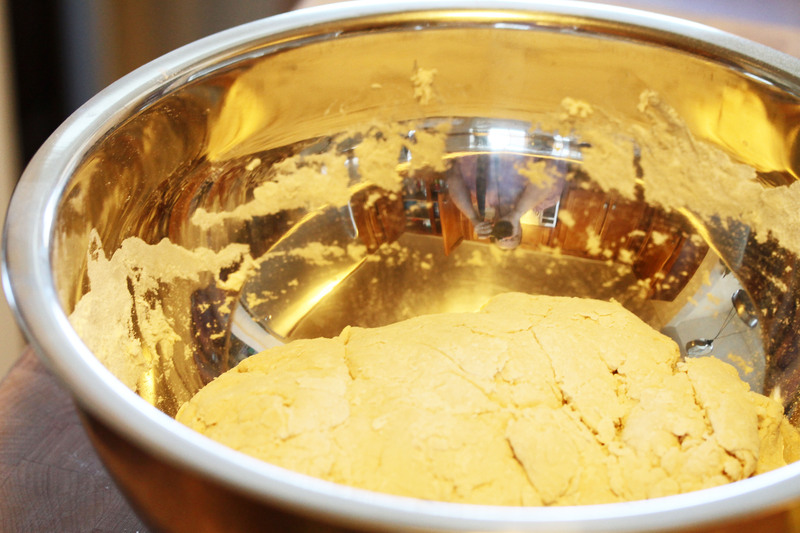 Combine flour, salt, and yeast in a large bowl. Whisk together. Add water and stir together with a wooden spoon. The dough will be sticky and shaggy. Use your hands to bring it together if needed. Cover the bowl tightly with plastic wrap and set it aside on the countertop. Let it rise, undisturbed, for 8-12 hours, or until doubled in size. It should smell like yeast and be a little bubbly. 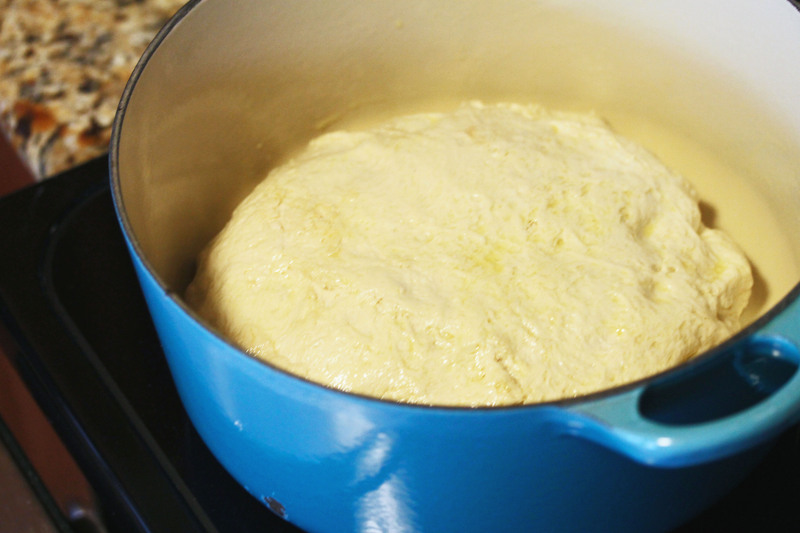 Add a tablespoon of olive oil to a dutch oven or otherwise heavy-bottomed pot with a heavy lid. 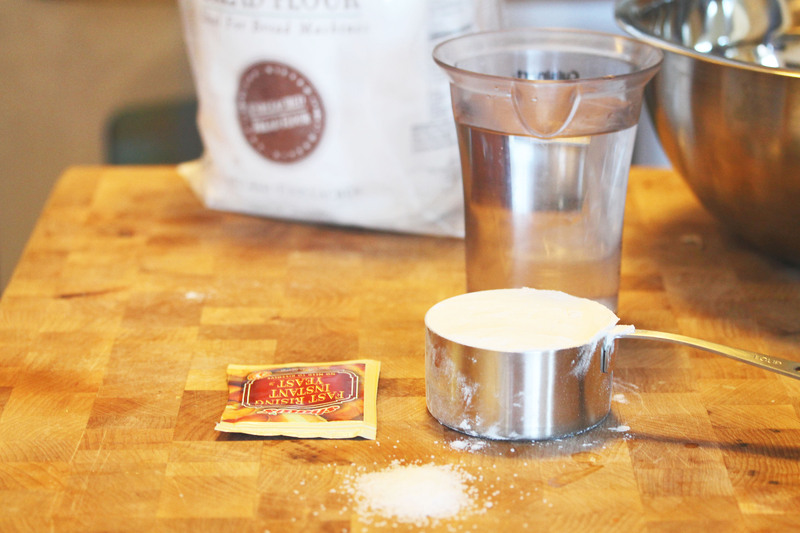 Add a little flour to a countertop and turn the dough out. Gently form it into a ball, tucking it under itself until the top is tight. Add the dough to the dutch oven and cover with the lid, then set it aside to let rise again for 2 hours. Preheat your oven to 425 degrees. Bake with the lid on the pot for 40 minutes, then remove the lid and bake for an additional 10-15 minutes, until the crust is a deep brown color. Remove from the oven and let cool in the pot until it is cool enough to touch, then turn it out and let it cool completely before slicing. I stored the baked bread in the dutch oven on the counter top. Bread will keep for 3-4 days. 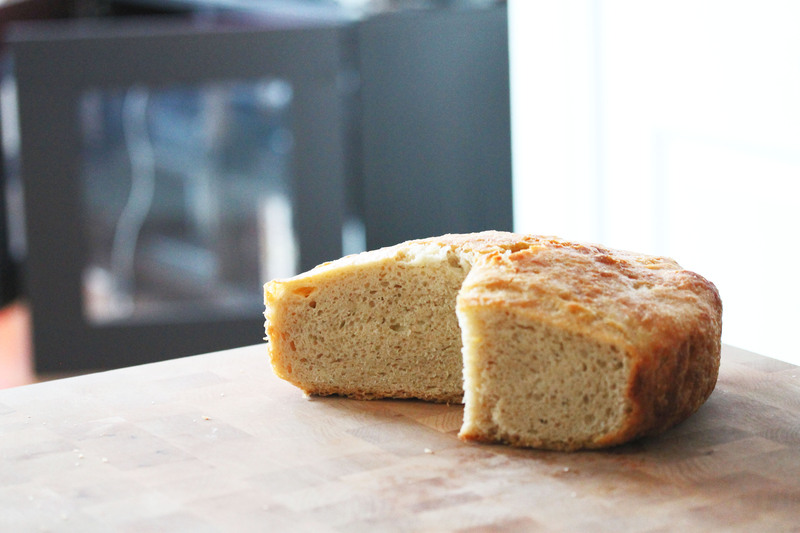 Tags: 12 hour bread, bread ingredients, easy homemade bread, no knead bread. Bookmark the permalink.